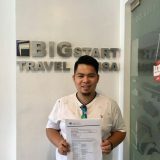 At Bigstart, we have a corporate visa service team to help investors and individuals navigate through US immigration law. Our services range from business visitor visas through to working US visas and permanent immigration to America. Our consultant can asisst with American work permits such as the H1-B and L1 visa and assist with cases for employment based green cards such as the EB-1 and EB-2 visa, or relationship-based visas such as the K1 fiance visa and K3 spouse visa. We also manage applications for USA student visas and many more. You may be looking to move to Australia. We are ready to help you today review your options. 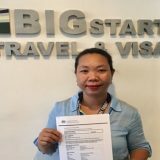 We specialise in all immigration visa for Australia Whatever the best route and visa is for our client is the one we always select such as skilled independent visa, skilled sponsored visa, contributory parent visa, last remaining relative visa, spouse visa, De Facto visa, student visa and prospective marriage visa. We have highly qualified consultants and experts who can help you. Many opportunities available in Canada such as Federal skilled worker visa, an entrepreneur visa or an investment based route. We also assist with Immigration to Canada on Marriage visas, family based visas and business visas. We help people to relocate to Canada through family sponsorship with permanent residency or Canadian citizenship. As UK visa specialists, we give advice and assistance on all areas of UK immigration such as UK tier 1 visas, UK marriage visas and business immigration solutions. Recently UK immigration authorities has tightened their rules making entry to the UK much more difficult. Tier 1 visas are controlled as are intra company transfers and Tier 2 permits. Investors, entrepreneurs and people of exceptional talent are all competing for limited UK visas as the UK Government has set limited on the number of migrants allowed into the UK yearly. It is more important than ever to ensure you have the best UK immigration advice available to assist you as a refusal could lead to a ban on re-applying for many months or even years. Whatever your UK immigration requirements we are ready to help you. Our experts are qualified to handle New Zealand Visa applications within the shortest possible timeframe. Every year we help secure more New Zealand working visas, marriage visas, family visas and business related visas. The New Zealand immigration process can be difficult, involving a complex series of tests and legal requirements. We have worked hard to simplify this process to save you time and hassle. New Zealand is extremely protective of the number of people allowed in the country each year, so a water-tight immigration case is vital to ensure you can demonstrate your value to New Zealand and meet their high standards for success. To ensure a successful visa case even if you are just visiting, complete our assessment form today and allow our experts to provide you with the best free advice online. Better to be in safe hands with qualified advice than be refused over a technicality. The so-called declaration of commitment is one of the major requirements when applying for a Schengen visa—to be more specific, the visitor’s visa. This is commonly obtained by travelers who want to pay a visit to their friends and close relatives who are already permanent residents of a particular Schengen territory. The declaration of commitment is usually provided by the sponsor. It guarantees that the latter shall shoulder all the expenses of the foreign visitor. To a certain extent, the sponsor may even pledge for the guest’s accommodation. The need to have this particular document stems from the fact that foreign traveler’s cannot seek support from public funds during their stay. Similar to Australian visitor visa and US tourist visa applications, guests should shoulder all of their finances. However, as for the case of Schengen visas, sponsors can fulfill this obligation. Under this context, the burden of proof when it comes to demonstrating sufficient monetary support is shifted to the sponsor. If “show money” concerns have been preventing you from obtaining a Schengen visa, ask a declaration of commitment from your sponsor. However, it must be noted that the declaration of commitment is not exclusive to family members. Your friends and even your partner (boyfriend, girlfriend, fiancé, fiancee) may also obtain this paper to facilitate your application. Always, the declaration of commitment is misunderstood as the invitation letter. But of course, the two are different from each other. During applications, it is the declaration of commitment that is given more weight. 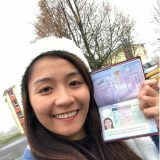 Literally, the invitation letter is just a simple letter that explains or details the trip’s itinerary and the reason for entering a Schengen region. However, when one submits a declaration of commitment, the sponsor is basically making a pact to his or her government. They put their names on the line—that they are likewise liable for the actions of their guests. Should their guests violate their visa’s obligation, they shall be penalized as well. An application therefore can stand without an invitation letter, but not without the declaration of commitment. What if you and your sponsor have not met each other, can you still use the declaration of commitment? Unfortunately in this case, you cannot use the said document. You need to prove that you have an authentic and genuine relationship. E-mails and chat messages are given little bearing during the application examination. The relationship can be only proven to be true and existing if the couple has seen each other face to face. The declaration of commitment can strengthen your application. Yet, it does not mean that your application can be approved. Consular officers consider other factors aside from having enough means to support your stay. For example, if you fail to demonstrate your strong ties in the Philippines, then your application can be denied. If you miss a certain requirement, then you can be refused as well. The means of subsistence addressed by the declaration of commitment is just a part of the overall requirements. But approval is not based on this aspect alone.